Martin has been involved in nursing and nursing education for several decades. His current role as Senior Lecturer is a joint appointment between Victoria University and Mary Potter Hospice. His research focuses predominately on the ethical and legal aspects of health care delivery and nursing services, as well as related aspects of nursing practice and education. His 2007 doctorate related to both ethical and legal considerations involving parental resistance towards medical treatment for a seriously ill child. 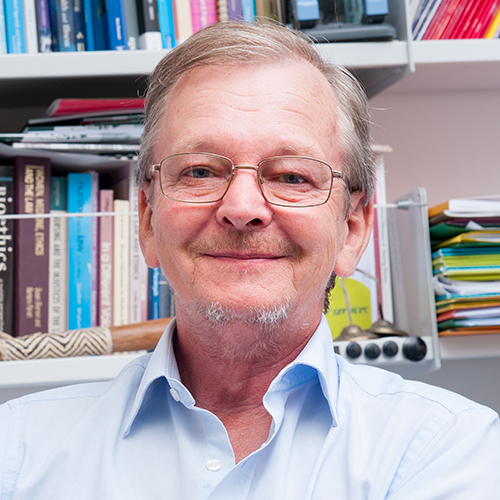 Other research issues that he has addressed include a national survey on moral distress amongst New Zealand nurses, cultural safety and socio-ethical nursing, caring practices and an ethic of care in nursing, and commentaries on ethical concerns within nursing. The recognition of acknowledged expertise in this domain has led to offers to be involved in other projects, e.g. chapters on research ethics, applied law and an ethic of care in Australasian and international books and a large number of speaking engagements at national and international conferences. His ethics background is also recognised by formal appointments, such as the New Zealand Consultant for Ethics & Human Rights with the International Council of Nurses, a member of various ethics committees, a journal editor, and more. Martin as provided ongoing contributions to the Codes of Ethics for Nurses and other national Codes of Ethics, and frequently served as an expert witness (ethics) for the Health Practitioners Disciplinary Tribunal/Nursing Council. Ethical and legal aspects of health care delivery and nursing services, as well as related aspects of nursing theory/philosophy, practice and education.